Recently I led a rather cool version of Jude del Hierro’s wonderful song More Love, More Power at my church. The youth had just returned from a powerful experience at camp and were ready to overwhelm the first few rows on Sunday morning with the kind of exuberance one would expect from youth with cherub-like faces still glowing from a mountaintop high. The band had rehearsed. The sound system had been tweaked. At the appropriate moment we launched into the tune with all the ferocity of a Jr. High garage band. No one sang. The kids looked like they were all on Darvoset, and the adults looked like they’d just discovered pickle juice in their morning coffee. I started to perspire. When I get nervous, my sweat glands get happy. So – here I am in front of several hundred people feeling like a fat turkey the day before Thanksgiving. Maybe you’ve been there. Maybe you understand the pressure I feel each week to find just the right combination of songs to woo every would-be worshiper into the highest heavens. Maybe you know what it’s like to wake early each Sunday morning and wonder if “it” will happen today. Maybe you, like me, live under the expectation that each week, somehow, you need to entice, dazzle and mystify the congregation as you attempt the impossible— blended worship. The theory of blended worship teaches that God is doing a new work in the Body of Christ by bringing together many divergent worship expressions into a way of ‘doing church’ that utilizes the best from every tradition. In this “convergence model,” it is now possible for people in Baptist churches to lift their hands and not be labeled “charismatic.” It is now possible for liturgical churches to embrace contemporary music and not lose their traditional roots. In this new-fangled convergence thing, there’s now a chance that the dividing points Christians may become synapses, or points of connection, as we openly recognize and embrace the best of the indigenous expressions of worship from each tradition. Great theory. But is it really happening? Does blending worship styles really work? Will our congregations swallow this theory ‘hook, line, and sinker’? Will they follow us off the visual cliff and trust that God is in it, or will they clutch their personal preferences tightly to their breasts, shake their bony fingers in our faces and call us anathema? I believe the answer is yes. I believe the answer is no. By 1999 and by God’s mysterious hand, the unimaginable happened. I became the worship pastor of this very church. One year later, our congregation would voted to leave the denomination, lose all of our property and suddenly become a mission church, moving equipment in and out of a generic meeting space each week. How odd this will of God! Long story short, while in the historic building the church formerly met in, there was only a mild tolerance of the newer music I attempted to blend with the marvelous old hymns. In the new space, people generally accepted the new arrangements of the old hymns, sans pipe organ, but still didn’t go hog-wild over edgy praise and worship on Sunday mornings. I do think, however, that the operative phrase in that last statement is “on Sunday mornings.” There’s just a prevailing sense of what Sunday mornings “ought to be like” in our church that I can’t seem to shake. The liturgical church, the liturgy itself, is a reverential model that demands a certain posture before God. It’s more like a baccalaureate than a backyard barbecue. Please do not misunderstand me: I value much of what happens in our liturgical service. I love the Communion, the prayers and the Scriptures, the Confession of Sin and the Absolution. I love the sense of awe, mystery, and holiness I feel when I approach it all with an open heart. However, I still struggle with everyone's worship preferences, the bane of every worship leader’s existence. Those who are not attempting to blend contemporary music with traditional music may not understand what I’m even talking about here. You just do your contemporary thing and go on with your life. Lucky you. But back to the question at hand, “Does blended worship really work?” Honestly, I don’t think God cares! There…. I said it. He just doesn’t care what kind of music we use to worship Him. We’re the ones who care! We’re the ones who strain gnats and swallow camels and waste precious time while millions of people never see a shining example of a worship-filled believer in this world. We’re the ones who dishonor God with our pettiness and bickering, our self-serving, buffet-style worship preferences and opinions. No, God doesn’t care, nor is He moved one whit by our worship wars. He looks upon the heart. He longs to hear us lift our very souls to Him, enraptured, as we sing the old hymn Amazing Grace and feel to our core the depravity of our sin and the goodness of His grace. His eyes “run to and fro throughout the earth” looking for worshipers who sing We Bring the Sacrifice of Praise and really mean it. As Eugene Petersen so wonderfully translates the famous passage in John 4: His heart yearns for those who are “simply and honestly themselves before Him in their worship.” God doesn’t care about our style. He longs for our substance. Now, just to make sure that you don’t think that I’m the “Grinch Who Stole the Concept of Blended Worship,” in Part 2 of this article I will share some specific, meaningful ways to blend worship styles, how avoid the ‘Fat Turkey Before Thanksgiving” trauma, as well as why it’s worth the effort. In the meantime, pass the blender, please! John Chisum is a pastor and worship leader in Mobile, Alabama. 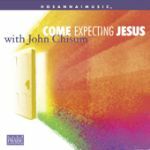 Information on his workshop, concert, and worship leading ministry is available on the web at www.johnchisum.net or by calling him at 251-414-5832.